Athletes today are increasingly seeing value in using a heart rate monitor watch. These help to ensure that a heart is pumping at the right pace to avoid exhaustion and prevent possible medical issues. Since these devices are becoming increasingly accurate, they are also useful for other purposes. For example, heart patients often take advantage of these to prevent their heart rate from getting too high. People trying to lose weight also take advantage of heart rate monitors to ensure that their workouts are burning enough calories to have the desired effect. As affordable devices, heart rate monitors are widely available both online and in stores today. To make the buying process easier, this guide will provide comprehensive information to get the right product for your needs. If you are looking for the Best Strapless Heart Rate Monitor Watches and want to know more information about it, then you’ll LOVE this guide. We have done the legwork for you and handpicked the best Heart Rate Monitor Watches on the market. A heart rate monitor is a personal tracking device that electronically detects and transmits a user’s heart rate. These are generally used by athletes, people trying to lose weight, heart patients, and casual home users just going for a walk. When working out, it is critical that the heart rate is at the right speed to prevent getting either too tired or not getting a sufficient workout. By using one of these devices, users can expect to spend less time working out and get better results. Without a heart rate monitor, the manual tracking of a heart rate can be tedious and inaccurate. To keep up with this information automatically, these modern devices can make the lives of athletes easier while working out. This way, users can just focus on the workout itself without needing to worry about whether a heart rate is too high or too low. These devices consist of both a strap around the chest and an output device to be viewed by users. Generally, a wireless wristwatch is included with these products for displaying heart rate output. Placed directly on the chest, these can provide greater accuracy than simple finger-based products. More simple than chest strap monitors, these simply have a finger unit that is read to obtain the heart rate. However, the disadvantage of these is that most models require users to stop in the middle of their workout to get a measurement. As a result, they also suffer from decreases in accuracy as a result of not actively obtaining this information from users. A strapless monitor is a single unit that is placed around the wrist to easily obtain active measurements of a user’s heart rate. These require no additional components and obtain all information that they need from one single unit. As a result, these monitors can be much easier to use than some of their two-part counterparts. Pros: Design specifically for women, this is a stylish product that monitors heart rate effectively without being too expensive. 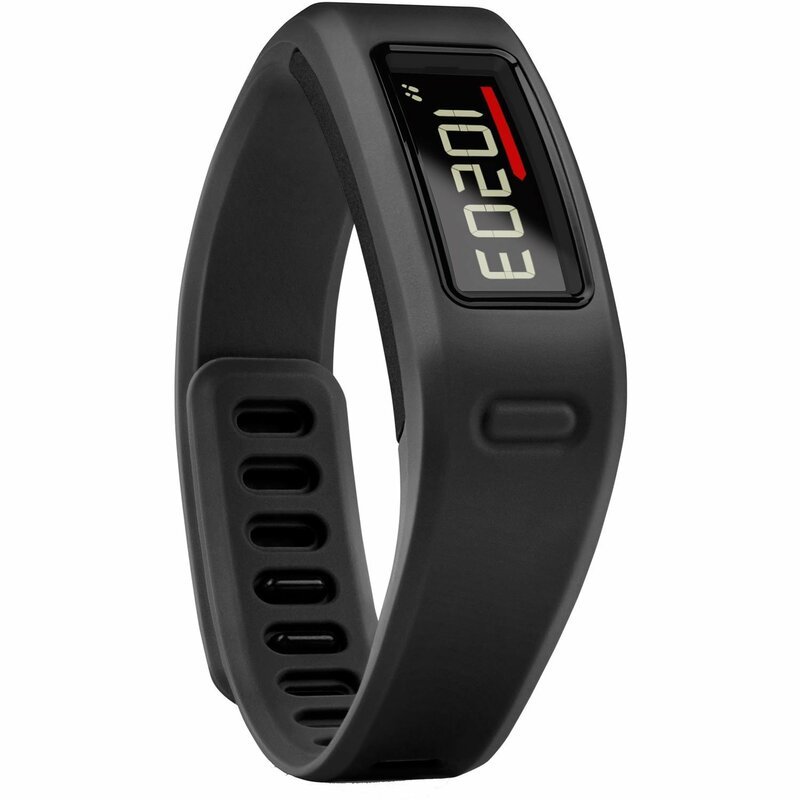 It offers advanced features like calorie monitoring and continuous output of the users heart rate. For greater accuracy, the device includes a heart rate chest strap that is made of soft fabric. This makes it more comfortable during a long workout where harder materials might start to dig into the skin. Cons: Some women might not like that the product is rather bulky. Additionally, the solid design might not be comfortable during extended physical activity. However, buyers can’t expect to have everything at such an affordable price range. Keep in mind that this product is designed specifically for women. The Verdict: The FT4 is a great product for women looking to effectively monitor their heart rate with minimal cost and effort. It includes more advanced features like water resistance and a replacement battery to increase its useful life. 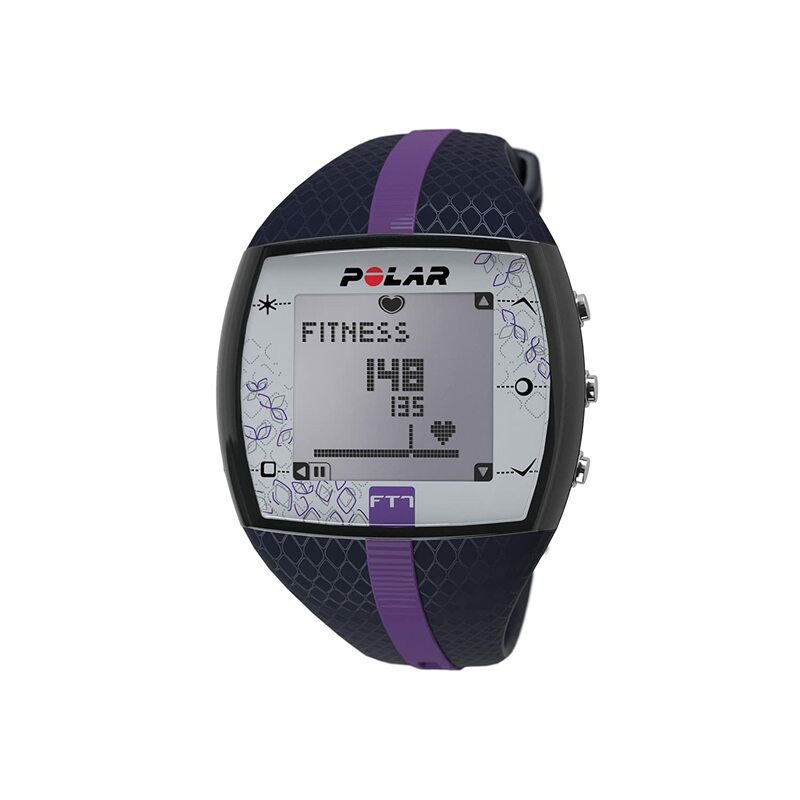 It can even connect to gym equipment if it is compatible with Polar’s GymLink technology. Pros: Yet another product designed for women, the FT7 represents the next step up from the FT4. This heart rate monitor includes all of the features included with the FT4 plus some additional functionality. The EnergyPointer system allows the product to be cater to specific user needs depending on if they plan to use the product for fitness or fat burning. Through the Smart Calorie system, users can get more advanced insights into the amount of calories they have burned. The products even allows users to export their data directly to a computer to make better use of it. Cons: Although this provides extra features, it also comes at a higher price. For users looking to spend a minimal amount of money, the FT4 is cheaper but has fewer features. Like the FT4, this product is explicitly designed for women and shouldn’t be used by men. The Verdict: For women looking for a stylish heart rate monitor that will allow them to view all the information they need, this product is a great place to start. With the ability to export data to a computer, the possibilities from using this product are truly endless. Through third-party software, users can learn even more advanced information about their workout. Pros: Unlike the last two products, this one is designed specifically for men. 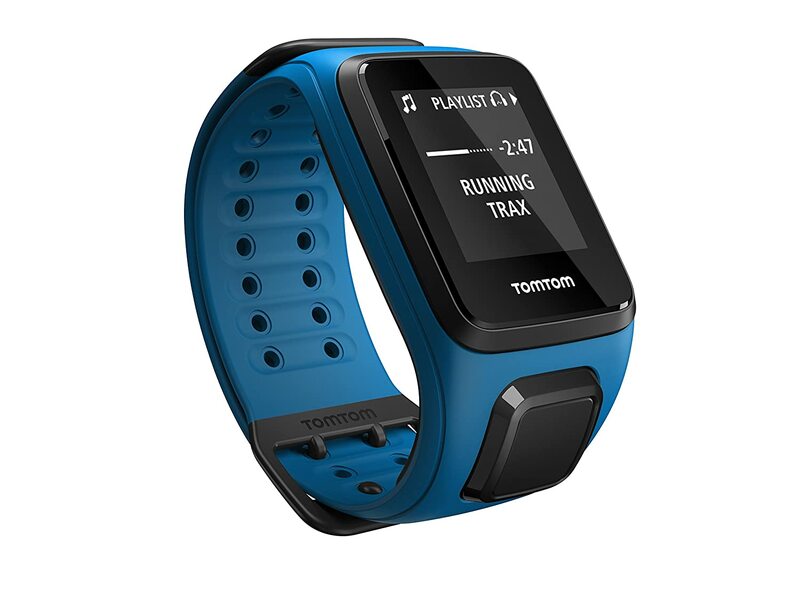 The FT60 includes a full range of features that allow athletes to stay on track for their personal goals. The product is able to track weekly training activities and provide ongoing feedback on performance. During the workout itself, users will be able to view advanced information like their heart rate zone and the amount of time spent within this zone. This can then be compared with the amount of time run, with all of this information being displayed on the same screen. This reduces the amount of time the athletes need to spend toggling between menus while trying to work out. Cons: While the product is available in purple, it is not designed for women. Since the device uses a chest transmitter, it provides greater accuracy but also might be somewhat uncomfortable for users who don’t like this type of heart rate monitor. 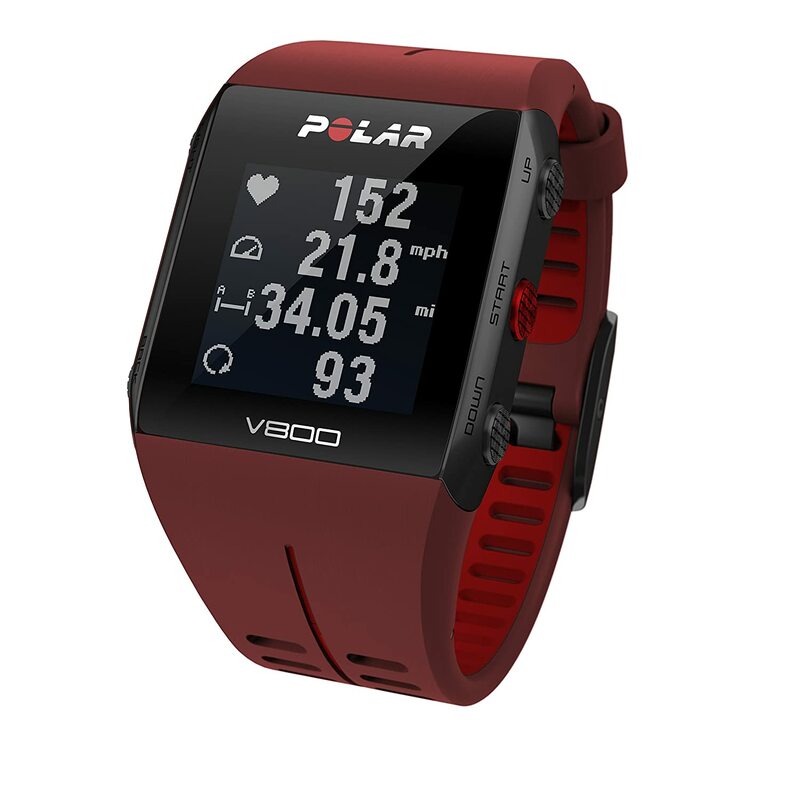 The Verdict: For men looking for a heart rate monitor that will provide them with all the information they need about their heart rate’s performance, this is an excellent product. Since it physically resembles a watch, users are free to continue using it throughout their life. This might make it a great product for individuals suffering from heart conditions as well. 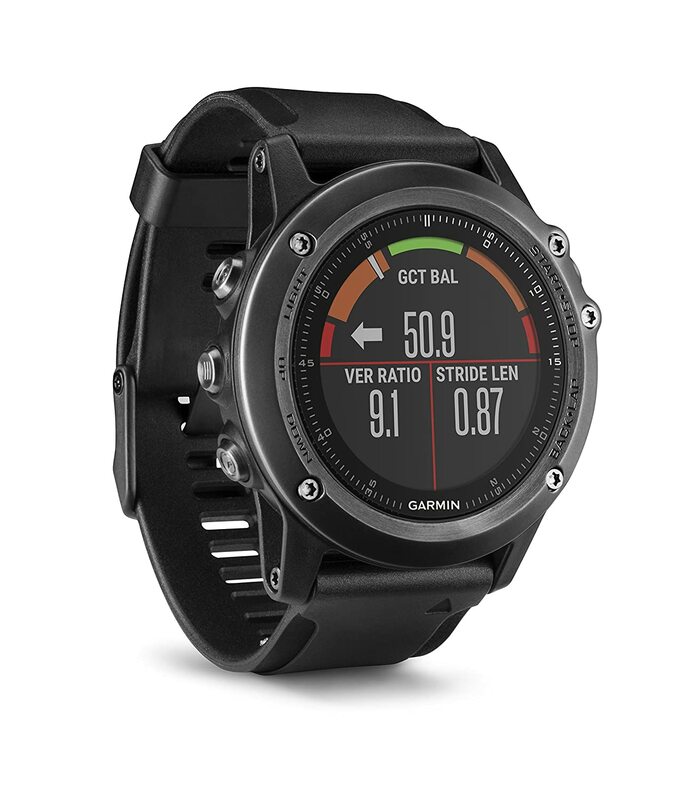 Pros: As a higher-end product, this is a strapless heart rate monitor that looks great and provides plenty of information. With a beautiful display, it elegantly outputs a user’s beats per minute. It also includes advanced functionality that allows users to review data such as exercise time and average heart rate. This information can also be compared with the amount of time spent within the ideal heart rate zone to help athletes optimize their workout. Cons: The disadvantage of this product is that it has a strapless design. While some users might prefer this for the increased comfort, it also might lead to a slight decrease in accuracy. However, the product does a good job of compensating for this and seemed to be very accurate in trial runs. The Verdict: With Bluetooth technology, this device can effectively communicate with a smartphone or other device. For users who want to take advantage of these features, this product is excellent. It provides accurate output while still allowing this data to be transmitted to a smartphone where it can be made better use of. Pros: For users who want great heart rate monitoring accuracy on a budget, this product delivers outstanding performance for its price range. 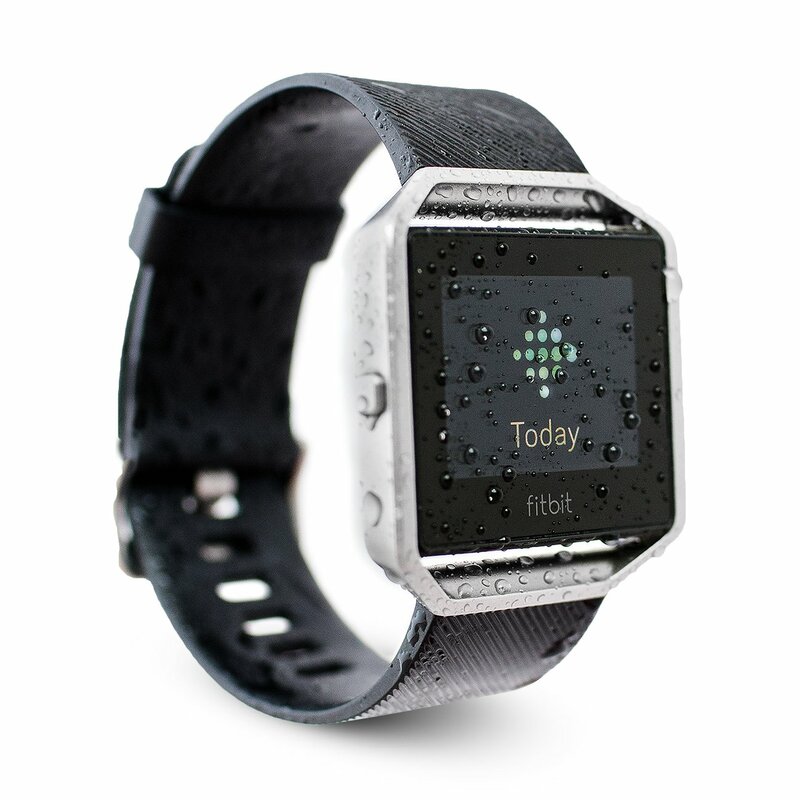 Through its LCD display, the product can display features like calories burned and time statistics. With just four simple buttons, the product is easy to program without even needing the instruction manual. For effective communication, the device is capable of transmitting a signal from up to 100 feet away. This means that users can expect their HR-100CN to have minimal signal loss during transmission. Cons: The disadvantage of this product is that it lacks some of the more advanced features found in the marketplace. For example, there is no ability to integrate the device with an advanced smartphone. Further, users are unable to connect the device to a computer to make better use of the data. The Verdict: As a basic device, this provides users with everything they need to get started monitoring their heart rate. While this might not be the best option for dedicated athletes, it is a great choice for people who just need to keep track of their heart rate. For example, heart patients might find this product to be very useful to prevent their heart rates from getting too high. With the included backlight, it can even be used at night. As a result, this product is highly recommended for casual users or individuals on a budget. The advantage of a strapless heart rate monitor is that it is easier to use and requires little intervention by the user to get started. Rather, users can generally put the watch around the wrist and immediately get feedback about their heart rate. Since the watch is placed around the wrist, this unfortunately creates a slight potential disadvantage of strapless heart rate monitors. With monitoring being fixed to the wrist, some health experts say that this is not the ideal location to get the most accurate reading of the heart rate. As a result, there is great debate among the workout community about which heart rate monitor type is best. For the greatest accuracy, strapped monitors are often recommended. However, it is important to keep in mind that not all heart rate monitors at the same. While some strapped monitors might be slightly more accurate, some strapless monitors can be just as accurate. When deciding between the two, it generally comes down to personal preference. Users who are willing to sacrifice slight discomfort for greater accuracy might be better served by getting a strapped heart rate monitor. In contrast, some users might be better served by simply getting a heart rate monitor that they feel is comfortable for them. In most cases, users who choose a heart rate monitor based on comfort will pick a strapless monitor. In an attempt to bridge the gap between a strapless monitor and finger sensors, some brands produce heart rate monitors that are capable of doing both. In many cases, these monitors will be placed on the foot for greater accuracy and a lower chance of falling off. To do this, pods are commonly employed that attach to a user’s toe as opposed to a finger. This provides the same accuracy that a finger sensor provides without requiring users to stop while working out. Combined with a comfortable shoe, foot pods can be a great way to go for aerobic training today. In many cases, these products are quite comfortable and can be used interchangeably on either foot. This means that even if discomfort is experienced, users can simply swap the foot the pod is being used on to reduce potential soreness. Unfortunately, heart patients who need working out more than anyone often avoid these activities altogether because they worry about the risks. For heart patients, getting the heart rate up too high could potentially lead to a life-threatening heart attack. To prevent these problems from occurring, users can simply monitor their heart rate by using one of these devices to protect themselves. After suffering from an injury, many physical therapists will recommend that patients avoid getting their heart rate up to high. For patients were told this, heart rate monitors can allow them to continue working out without reaching unhealthy heart rate thresholds. Additionally, this can help to moderate a workout routine to prevent pushing oneself too heart. More casual walkers and joggers can make use of heart rate monitors as well. By using one of these devices, users can ensure that they are getting their heart rate up high enough to get an adequate workout. Without doing this, a workout might not be effective since aerobic exercise requires an increase in heart rate. To train effectively, competitive athletes make use of heart rate monitors to manage their workout routine precisely. Many athletes need to be careful to avoid getting their heart rate too high or too low to ensure that it workout is optimized. By doing this, athletes can expect to perform better during their next athletic events. Additionally, these monitors can even be used during the event itself to avoid expending excessive energy at the beginning of the event. Runners need to be vigilant to ensure that their heart rate is not too high or too low to get the best performance. If the heart rate is too high, runners could become tired later in the event or during the workout. Likewise, a low heart rate during a workout will reduce its effectiveness. Even professional cyclists use heart rate monitors for similar reasons as runners. In some cases, heart rate monitors might be built right into handlebars. However, these have been shown to be very inaccurate and force users to keep their hands in specific areas of the handlebars. When trying to lose weight, heart rate monitors can make sure that an exercise is sufficiently vigorous. Without monitoring the heart rate precisely, people may find that they are simply wasting their time with their workouts since calories are not being burned. Heart Rate Zone Alarm: Staying within the right heart rate zone for each person is important. In order to prevent over-exerting oneself during a workout and to prevent injury, monitoring this information is critical. Timers: When challenging oneself to perform better, time is often a major concern. 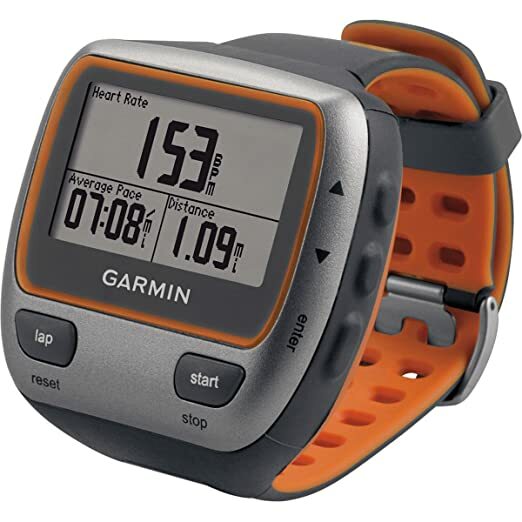 Look for products that include a stopwatch, clock, and interval timers to make it easy to keep track of performance. Time in Target Zone: Watches that make special note of the amount of time that users spend in the target zone will allow them to train themselves to perform optimally. Recovery Heart Mode: When in recovery mode, watches will aim to ensure that users are not over exerting themselves. This can be helpful when preparing for certain activities or when recovering from an injury. Calories Burned: One of the main uses for heart rate monitors is managing calorie burn. Therefore, it is important to find a device that actually provides this information. Fitness Test: To test your physical fitness level, heart rate monitors often include fitness tests where users can max out their performance for short-term periods of time to discover their peak output. Computer/App Link: With technology constantly improving, many heart rate monitors today are keeping up with these latest trends. Look for heart rate monitors that can synchronize with either a computer or smartphone to enable more advanced functionality. Pre-Programmed Workouts: Pre-programmed workouts enable users to follow a preset plan to get the most out of their workout. Instead of lightly jogging for an hour, these workout plans might occasionally ask users to sprint or to do other activities to get more out of their workout. Comfort: As with any other device, comfort is important. To find a comfortable product, one of the best ways of doing this is to check customer reviews online. Ease of Use: A heart rate monitor that is easy to use will lower the barriers to getting the most out of the product. Online reviews and videos can provide plenty of information to see how easy a prospective heart rate monitor is to use. Quality Display: For a better user experience and to make a heart rate monitor more stylish, a high-quality color display can make a big difference. However, this is not necessarily a requirement and is generally only for cosmetic purposes. Speed & Distance Monitoring: When working out, it is helpful to be able to constantly know historical information like speed and distance. Look for a heart rate monitor that includes a pedometer or GPS tracking features. Bicycle Mounting: Mounting a heart rate monitor directly to a bicycle can be more convenient for cyclists. If planning to use a heart rate monitor for biking, look for one that includes a special mount to make it easier to view the data during a tough ride. Battery Replacement: As time goes on, batteries may start to wear out. For users who plan to use their heart rate monitor in the long run, find one that makes it easy to change the battery. This will prevent having to purchase another one down the road when the cost of battery replacement cannot be justified due to the difficulty. Encrypted Transmission: Whether concerned about domestic spying or a neighbor’s prying eyes, encrypted transmissions make it nearly impossible for anyone to steal transmitted heart rate information. In today’s world, it can never hurt to be on the safe side when it comes to the security of any electronic data. Before making a purchase, it is important to understand personal needs. Buyers just looking for a simple product to monitor their heart rate might be well served by a heart rate monitor with simple functionality. In contrast, competitive athletes might need a product that provides all of the latest features to ensure they are maximizing their workout. Browse through the considerations below before deciding which heart rate monitor is right for you. The frequency of intended use is a major consideration because it will form the basis for the amount of investment that a user should make. Casual athletes who only intend to use their heart rate monitor a couple times might be better served by getting a more cost-effective product. In contrast, competitive athletes might want to get the best heart rate monitor they can find because they will be using it on a daily basis. For most users, somewhere in the middle is generally right. To decide this, buyers should carefully consider how they intend to use the product and the certainty that they will actually use it. The more that a buyer intends to utilize their heart rate monitor, the more they should consider investing in the product. Do you need a virtual trainer feature? One of the main features that is commonly seen today on some of the more advanced heart rate monitors is a feature called a virtual trainer. These features help runners and other athletes stay on track for their performance goals. These features are generally appropriate for more casual athletes who want to monitor their long-term performance with minimal effort. For serious athletes who don’t keep track of their performance carefully, the virtual trainer feature could act as an effective substitute. However, it is important that athletes consider the features of a virtual trainer because they are not all the same. Some might provide advanced projections for future performance while others might give simple output on calories burned. Do you want to track long-term progress? Buyers should always look for a heart rate monitor that is able to track long-term progress. Working out is an activity that takes several months or even years to be successful at. Therefore, athletes should be sure at all times that they are making progress toward their long-term goals. By getting a heart rate monitor that provides this functionality, users will find it easier to monitor their performance. In most cases, buyers prefer to check their long-term performance either before or during a workout. When this information is close at hand, it will be available when it matters most. Therefore, buyers should always look for a heart rate monitor that is capable of tracking long-term performance. Do you want to calculate calories burned? Accurately calculating number of calories burned is one of the primary uses of a heart rate monitor. Without heart rate statistics, the number of calories burned cannot accurately be measured. Since calorie burn is directly correlated with heart rate, it is important to have this information to obtain accurate statistics. This is true for a wide range of individuals that include athletes, people trying to lose weight, and casual walkers. By keeping track of this information, users can expect to gain much more valuable insights into their workout performance. Without this information, it can be difficult to calculate the number of calories burned with indirect measurements. How hard a workout do you want or need? The degree to which a user should push oneself during a workout is primarily driven by a person’s goals. Obviously, a user who has the potential for getting a heart attack should avoid working out too hard. Likewise, people who are planning to run a marathon will likely need to push themselves in order to succeed. Further, there is also the important consideration of balancing stamina with short-term capabilities. Users who work out over a long period of time will need to take things slower in order to succeed at their goals. However, athletes training for short sprints or other brief exercises will need to plan their workout accordingly. For users who truly want to push themselves to the maximum, making the investment in a great heart rate monitor is strongly recommended. The ability to see accurate statistics about performance will encourage one to continue trying. When performance increases are noted, it will be easier to keep pushing oneself to improve. Without this information, it can often be difficult to accurately track improvements. In some cases, users might believe they are performing well when they discover that they have actually declined. Therefore, it is important to keep in mind the difficulty of it intended workout regimen when purchasing a heart rate monitor. Like other products, heart rate monitors often carry warranties and support services to assist customers. While the actual features of a product are important, the warranty that backs it is a key consideration as well. Products that have a poor warranty should generally be avoided because this is a sign that the manufacturer has little faith in the product’s longevity. In contrast, products that provide warranties in excess of one year can generally be relied upon as products that will last for a long time. It is also important to find a heart rate monitor that offers product support in case something happens. From time to time, these products may naturally break with little fault to the manufacturer. If these defects or problems are backed up by friendly customer support, users can expect to get a replacement with little hassle. When considering warranties and support, it is also important to look online to see what other customers have said about their experiences. Since plenty of this information is available, buyers should seek it out when shopping for a heart rate monitor. Ratings and reviews can provide a wealth of information for potential buyers about a product. The experiences of other buyers can be read in detail where they will provide a verdict on whether to buy a product. Heart rate monitors that show a consistent pattern of getting poor reviews should probably be avoided. In contrast, a well-reviewed product that matches the buyers needs might be a great place to start. Therefore, this information source should be utilized to its full potential when purchasing a heart rate monitor. Buyers should always consider their own budget when purchasing one of these watches. In general, they will provide different features at different prices. More basic monitors are generally more affordable, while advanced technological products might require that potential buyers save a bit before making a purchase. When buying, it is important to stay within a prescribed budget to avoid overspending. Like with anything else, price is one of the key considerations when making a purchase. Most importantly, buyers should ensure that they are getting the most for their money when making a purchase. Through adequate research, buyers should have a good idea of how much they will need to spend and what qualifies as a deal at each price range. To help with this, estimates of what buyers should expect for their money are listed below. $50-$100: In this price range, buyers should expect products that provide basic heart monitoring functionality. Features strictly related to the heart like heart rate zone tracking and beats per minute are common in this price range. However, buyers should not expect to find advanced features like smartphone integration, Bluetooth technology, encryption, or the inclusion of a pedometer in this price range. $100-$200: As the mid-range of heart rate monitor product offerings, this provides some of today’s latest technologies without doing everything. Generally, these products are designed to include one or two advanced features in addition to regular heart rate monitoring. Features like smartphone integration, the ability to be linked to a computer, or other advanced features are common in this price range. However, buyers should not expect to get everything that they want at this price range although these products are generally sufficient even for advanced athletes. $200+: For those who want it all, these products come fully loaded with some of the latest features on the market. Buyers should expect to see advanced functionality like smartphone integration and the ability to be linked to a computer. These can be useful for buyers who want to share their information online using third-party software. When working out, the right heart rate depends on the specific individual. Those who suffer from heart problems should be careful to prevent their heart rate from getting too high. The same can be true for individuals suffering from other problems, and when uncertain individuals should get in touch with their doctor before getting started. For most people, their resting heart rate is between about 60 and 80 beats per minute. In general, individuals will be in the lower range of the spectrum if they are not in good physical shape. In contrast, people in good shape will have a high heart rate even when at rest. When working out, the ideal heart rate primarily depends upon a person’s age. Younger people at age 20 will need to get a higher heart rate of about 200 beats per minute while older individuals by age 70 are considered at full capacity at 150 beats per minute. In general, it is important to avoid going over these numbers without the assistance of a medical professional. If this rate gets too high, even young people could be subject to a heart attack or other health problems. When working out, it is recommended to stay in an ideal zone that is about 50 to 85 percent of an individual’s maximum heart rate. For example, a 20-year-old would need to get between 100 and 170 beats per minute while working out. In contrast, a 70-year-old would need between 75 and 128 beats per minute. Depending on how physically fit a person is, they should stay at either the high or low range of their target zone. Additionally, athletes planning to go for longer runs might want to consider lowering their heart rate accordingly. How does heart rate relate to fitness? Running, cycling, walking, and other activities that increase the heart rate are considered to be aerobic exercises. During these workouts, the heart rate increases and pumps blood rapidly throughout the body. It does this in order to deliver oxygen to muscles and other cells that need it in order to replenish themselves during a workout. When a body is in good shape, its lung capacity increases and the heart’s ability to pump blood is increased as well. This makes it easier for the body to deliver crucial nutrients to cells during intense physical activity. As a result, the body is healthier when lung capacity and heart strength are increased. Why do I have a different maximum heart rate for different sports? When working out, the heart rate can vary substantially based on the specific activity that is being done. While lung capacity and heart strength are important, it is also important how strong the muscles are. When different muscle groups are being used, they will use a different amount of energy based on how physically fit they are. Cyclists who have strong muscles for biking will require less from the heart when running since the relevant muscles are not trained as well. Therefore, it is important for athletes to exercise the correct muscles when working out. If training for a marathon, athletes should run rather than ride a bike for this reason. Heart rate monitors work through electronic sensors that detect the increased pressure during each heartbeat. When pressure increases, this triggers an increase in electrical output that is sent to a computer system within the device. By using advanced algorithms, microcomputers then interpret this data to filter out noise and determine if a heart beat really occurred. If it did, this will register and this information is then compared against a given amount of time. By averaging the number of heartbeats over time, and accurate heart rate can be determined. From there, this data is then output to the user who can give us information to make decisions. These days, all heart rate monitors available on the market are electronic and use very few, if any, mechanical parts. Will a foot pod work with any heart rate monitor? Foot pod will work with a heart rate monitor if they are designed for the purpose. In fact, most foot pods are designed specifically for monitoring heart rate. However, not all heart rate monitors will work with a foot pod. To communicate, the devices will need to use the same communication protocols, which often differ between manufacturers. Further, some heart rate monitors do not support foot pods at all. Therefore, it is important to ensure that a foot pod is purchased with an appropriate heart rate monitor to avoid regretting the purchase later down the road. In general, buyers should look to purchase a foot pod with the heart rate monitor all in one package. What is heart rate monitor training? Training with a workout monitor can be more effective than trying to work out alone. With the help of a heart rate monitor, users will be able to get a more effective workout by ensuring that they are working at the right pace. In many cases, this can allow users to reduce the length of the workout sessions to save time. Heart rate monitors can also help with recovery even after the workout has taken place. By training with a workout monitor, athletes can expect to get much better results from their workout activities. Heart rate monitors today differs substantially based on the brand. Some brands can offer advantages because they can bring their knowledge of other fields into their heart rate monitor products. Through this specialization, users can often get better value. Below is a full overview of some of the leading heart rate monitor manufacturers available in the marketplace today. Founded in 1977, Polar aims to cater to a wide range of users with a comprehensive product range that is designed for any lifestyle. As an established company, it currently employs 1200 people worldwide. Through 26 subsidiaries, Polar offers its products in more than 35,000 retail outlets that are located within 80 different countries around the world. 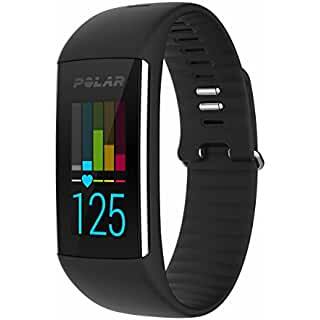 Polar’s products are generally in the higher-end range of the market. Although the company sells some more affordable products, it is generally targeted at athletes who want the best information available. The company offers heart rate monitor products that include pods and advanced athletic watches. 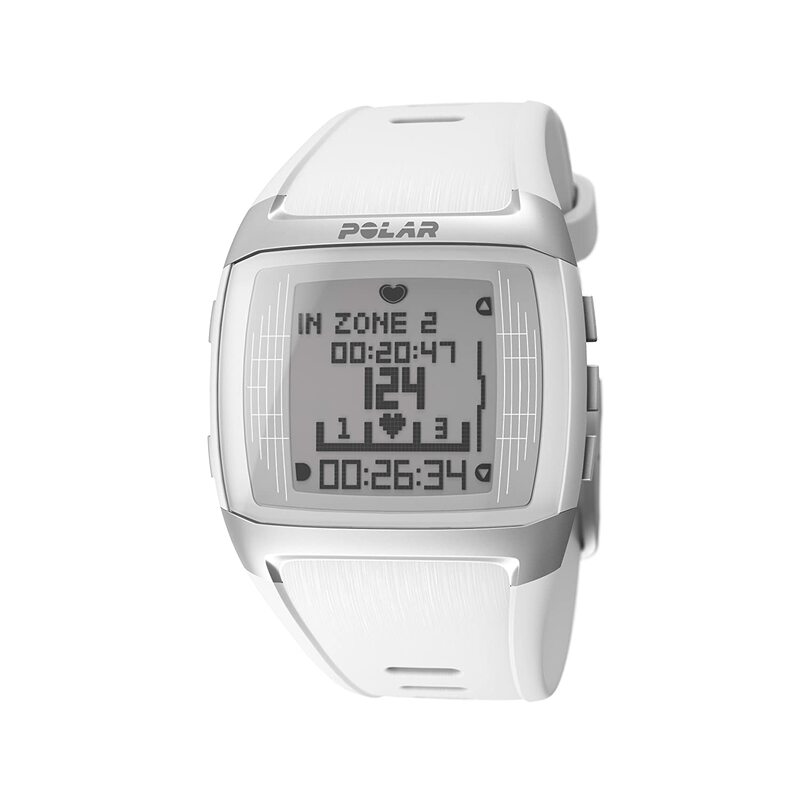 While the company offers some of the best, some users who are only looking for basic heart rate monitors might not be well-served by Polar. The company’s aim is to offer the best, keeping up with the latest innovation. This comes at a price, and users who are not completely focused on quality might not prefer Polar products. Timex has a rich history that dates back to 1854 when it was founded as the Waterbury Clock Company in Waterbury, Connecticut. Since then, the company has become a subsidiary of Timex Group B.V., a Dutch holding company. The company’s products come from around the world, with many being manufactured in Asia and Europe. In addition to offering heart rate monitors, the company offers advanced technical watches and small pocket computers. Some of the company’s products also include high-end luxury watches that sell for thousands of dollars. For heart rate monitors, the advantage of Timex is that the company’s specializations in other product fields can be brought into their heart rate products. This gives the company an advantage for producing more cost-effective heart rate monitoring products. As a result, the company aims to provide the most value to the mid-range segment of the marketplace. Many of Timex’s products are also designed to be integrated into an advanced digital watch. This allows them to do a robust range of functions in addition to being good looking for everyday life. The disadvantage of Timex is that the company primarily focuses on the mid-range segment. Although the company offers some advanced strapless heart monitors, its offerings for pods and other new innovations are lacking. Headquartered in Kyoto, Japan, Omron is a publicly traded multinational corporation that primarily deals in the manufacturing of automated electrical components. The company offers products such as blood pressure monitors, magnetic strip readers, and ATM machines. In recent years, the company has become one of the market leaders in the workout device market. For heart rate monitors, Omron offers a full range of products. Omron primarily specializes in heart rate monitors that can be worn around the wrist. In addition, the company’s products are cost-effective. Mostly, Omron targets the entry-level segment of the marketplace with products designed to serve these needs. The company’s products might not be as stylish as some of the trendier options available, but the goal is to deliver actual results. For monitoring heart rates, these products are accurate and reliable. As mentioned, the one disadvantage of Omron is that its products are not the most stylish in the marketplace. While many athletes probably don’t care much about this, casual users planning to make use of their heart rate monitor throughout their life might want to look elsewhere. Not to be confused with the Taiwanese Mio Technology Corporation, Mio Global offers stylish products designed to accurately measure heart rate. Unlike many of the other manufacturers available, this one specializes specifically in producing heart rate monitors. With this specialization, users will be able to enjoy a product that is truly designed with a passion for improving heart health. 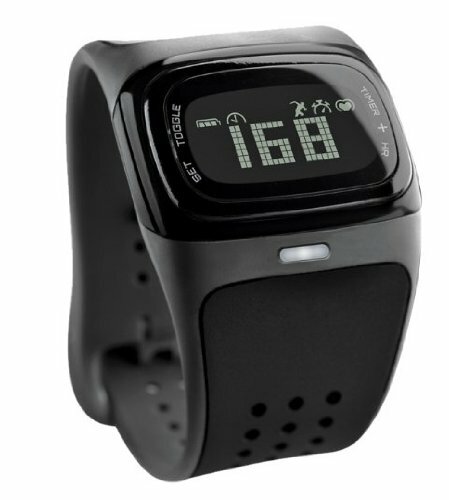 The big advantage of Mio Global’s products is that their entire company is built around producing heart rate monitors. These advantages manifest themselves in the way the company builds features into its products to help users manage their heart rate. Thinking ahead, the company also includes features that helps users monitor the amount of fat burned and make sure that they don’t over train. The company’s products offer real-time information to help athletes effectively manage and track their progress. Not surprisingly, the company’s disadvantage is that it only produces heart rate monitors. This means that users won’t get to enjoy a Timex watch or other product that has a heart rate monitor naturally built-in. However, for athletes this can generally be an advantage. When shopping, it is important to keep in mind the best range of features that are available in some of today’s products. While in these products were fairly straightforward, modern technology is starting to change this. The ability to synchronize with a smartphone enables users to take advantage of the full range of functionality provided by apps. As a major driver of advancement, this is also help to bring down the price of some of the more basic products available in the market. This means that all users are now well served by these latest advancements in heart rate monitor technology. Whether looking to get a better workout, stay healthier, or prevent a medical problem, heart rate monitors can solve a wide range of common issues today. By taking action, users can expect to get more out of each workout. This means that less time will need to be spent working out and more time can be spent doing work or spending time with family. Further, individuals just trying to stay healthier will also see benefits as their efforts will be more worthwhile. When heart rates are kept at a sufficiently high pace, users can expect to burn more calories and stay healthier. To be successful in a workout program today, these gadgets are a great way of getting there.